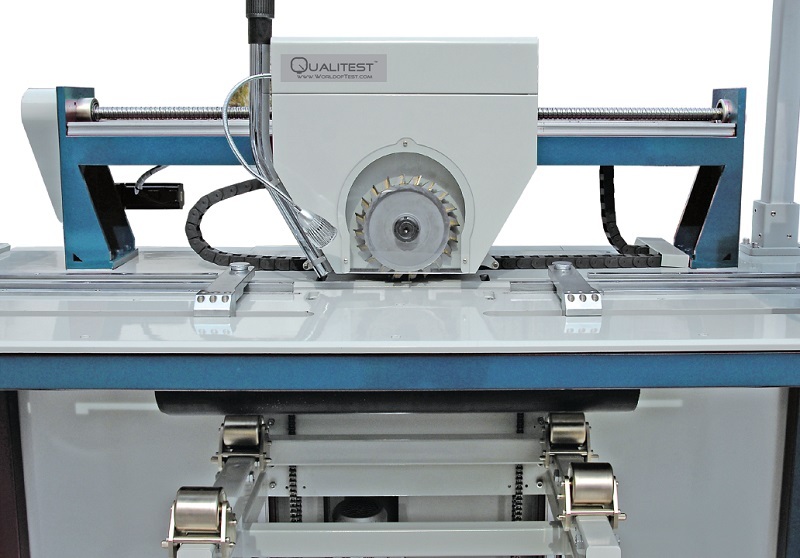 QT-NMM Pipe Notch Milling Machine is used to determine resistance to the slow crack expansion. It is widely used in pipe manufacturing, water supply and drainage projects or Industrial field. ISO 13479:1997 Polyolefin pipes for the conveyance of fluids -- Determination of resistance to crack propagation -- Test method for slow crack growth on notched pipes (notch test). This International Standard specifies a method of test for determining the resistance to slow crack growth of polyolefin pipes, expressed in terms of time to failure in a hydrostatic pressure test on a pipe with machined longitudinal notches in the outside surface. 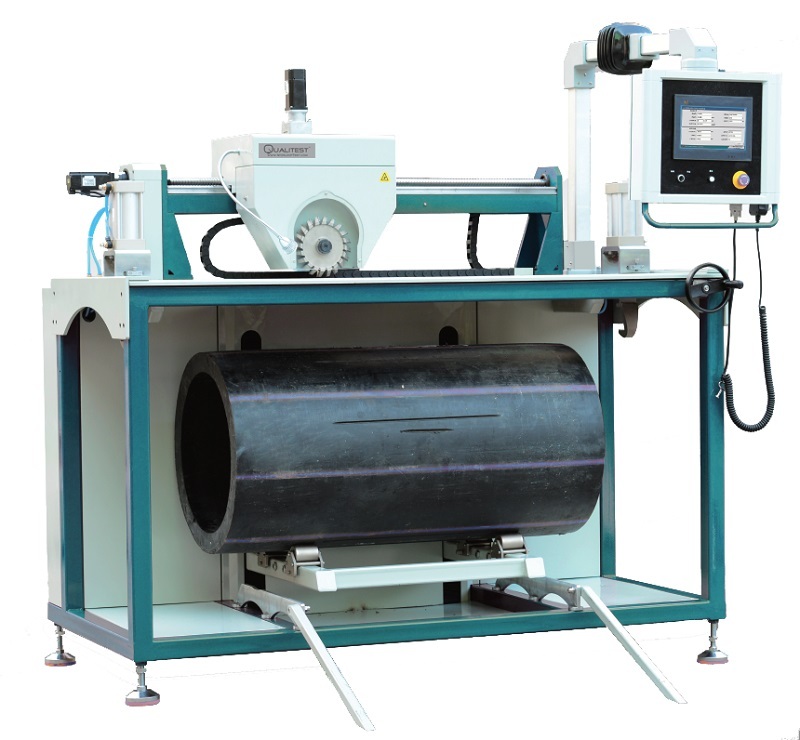 The test is applicable to pipes of wall thickness greater than 5 mm. With Industrial PLC control and moveable Large size full color touch screen display terminal. Module design for the whole system, and milling knife is over the test piece, it is easy to observe. Mandrel hoisting structure ensures the parallelism between cutting knife and pipe , also the repeatability of notch depth. It adopts double knife structure for the upper part of system, each knife can be lifted independently. Notice: If the wall thickness of pipe is bigger than 50mm, spiral cutter will be used before V shape cutter. 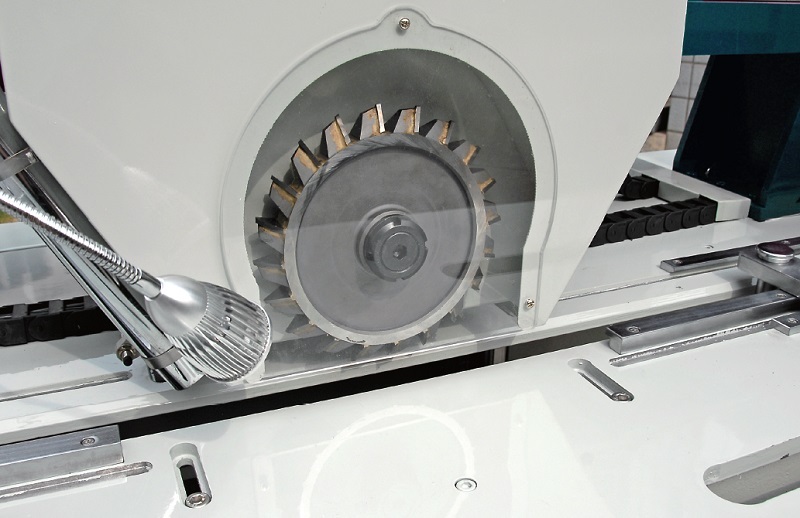 Spiral cutter is optional.